Balls in your, um, court, Vladimir. 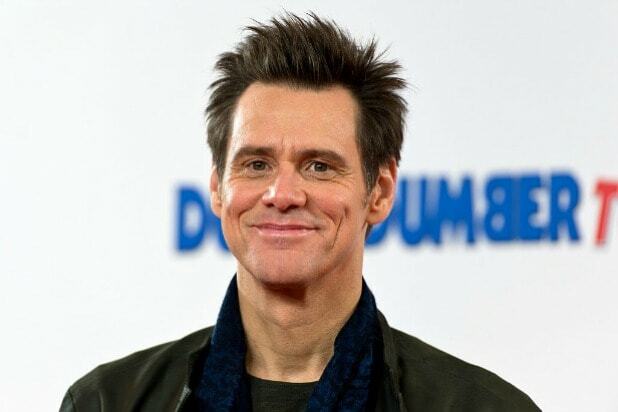 Actor/artist Jim Carrey took some time out of his Monday to riff once again on the seemingly cozy relationship between Donald Trump and Russian leader Vladimir Putin, and this one was a pretty ballsy effort. Carrey’s latest offering depicted Trump reaching his hands down the front of his pants, with a look of displeasure on his face. Putin, meanwhile, looks very pleased indeed, as he stands next to Trump and behind a podium with the words “I keep the balls” next to him. The podium is inscribed with the words “Helsinki 2018,” an apparent reference to Trump’s chummy, but widely criticized get-together with Putin earlier this month. Trump and Putin took part in a joint press conference, during which Trump was asked if he would rebuke Putin for Russian interference in the 2016 presidential election. Trump sided with Putin and against the conclusion reached by U.S. intelligence organizations that there was a coordinated social media and hacking campaign in 2016, and that Russia was involved. The following day, Trump attempted to clarify his remarks by claiming he actually meant the exact opposite. “I said the word ‘would’ instead of ‘wouldn’t’ and the sentence should have been: ‘I don’t see any reason why it wouldn’t be Russia,'” Trump told reporters. Carrey included a link to the voter registration site Vote.org with his latest work.